Any weed smoker, or those who hang around crowds where weed is a frequent visitor, likely knows how distinctive the smell can be. While it’s a great addition to any party or an excellent way to spice up what would otherwise be a dull night, the smell of weed can attract some unwanted guests to your home or party. If you don’t want to bring the fuzz down on you and ruin your good time, or tip off people like parents, landlords, or others who wouldn’t want you smoking marijuana, then the smell of weed can be like sending up a flare into the sky announcing your activities. Trust us, we’ve been there, and we feel your pain. Whether you’re trying to disguise the smell from a joint you smoked in your bedroom from a nosy landlord. If you want to keep your car smelling fresh as daisies despite how often you transport weed in it, a sploof may just be the solution you’ve been needing all this time. Of course, there’s a reason for the popular name Mary Jane has earned – skunk. The smell of weed originates from weed terpenes, which are the fragrant oils found within weed that contribute to its diversity of scents. Some love it, and some hate it, but we can all agree that it’s recognizable. To many, the smell of marijuana is not a pleasant one, and to all, it is considered a strong and unique odor. Depending on the particular strain of weed, the smell may vary. Many strains of weed have a pine-like scent to them. At the same time, many strains of weed have been crossed with fruit and tend to carry the smell of that fruit. This can help to give the weed a pleasant, aromatic scent. To the trained nose, weed can carry a smell varying between anything from a sweet, floral aroma to that of a burning rope. Of course, a lot of people can’t distinguish these slight variances in smell – to a lot of people, it all smells the same: like skunk. Whatever category you fall into, there’s little room for argument – you’ll know it when you smell it. So, what can you do about that distinctive weed smell if you’re looking to be discreet about your recreational activities? Fortunately, that’s where a sploof can come in. A sploof is a device, usually homemade, that helps to neutralize the odors from smoking marijuana. When you smoke marijuana, you inhale the smoke into your lungs and exhale it through the sploof – stuffed with dryer sheets or other aromatic substances. The result? A room that smells as fresh as a Spring day. With the help of a sploof, the task that once seemed impossible is all at once within reach. For students in college dorms, those who take long road trips with weed in their car, and those who hate the smell of weed alike – this is a long-awaited dream come true. With your homemade sploof, all you need to do is smoke as you normally would. Light your piece, whether it’s a bowl, mini bong, joint, blunt wrap, etc. From there, inhale the smoke into your lungs as per usual, but instead of blowing out the smoke into the open air, blow the smoke through the sploof. From here, the sploof will take a journey through the dryer sheets or other aromatic substance you have stuffed inside. This will do the necessary work of neutralizing the smell of your herb and, consequently, allowing you to smoke without leaving behind a scent trail. Of course, there are further measures you can take to ensure that the smell of weed resulting from your smoking does not permeate through your home, car, or other space. One good option is to open a window, if there is a window available. Of course, by doing this, you run the risk of attracting those from outside and alerting them to your activities. If you’re smoking in a home or other residential space, then you could be unintentionally alerting your neighbors of your activities. If you’re smoking in a vehicle, then you could be drawing the attention of other unwanted bystanders. Cracking open a window is the tried and true method of ensuring that the odor from smoking marijuana is not detected – but it’s far from a foolproof method. In addition to informing those nearby or outside of your actions, it also is not very effective in completely eliminating the smoke smell. Plenty of smoke is still able to linger in the air of the space that you are smoking in, thereby defeating the purpose of cracking open a window in the first place if you’re not careful. Then, of course, you have to consider another enemy: wind. Wind may just blow the air that you’ve carefully directed outside right back into your face – and your smoking location. And once that smoke smell is already there, undisguised by the help of a sploof, then there is little to do to get it out. Fragrances and perfumes may help to temporarily cover up the smell, but they are often not enough to get the job done completely. While they are certainly helpful and definitely better than nothing, the smell of the perfume or other scent eliminator often dissipates, leaving only the smell of the weed in its wake. If you’ve been wondering how to smoke weed without the smell or how to hide smell in your car, then a sploof may be just the gadget you’ve been looking for. The reasons to use a sploof go on and on. With virtually no drawbacks and nothing to lose, while there is much to be gained, there is little reason not to use a sploof. Don’t Attract Attention: One of the biggest reasons to employ the use of a sploof is to avoid attracting the attention of unwanted parties, such as parents, roommates, landlords, or police. If you’re smoking somewhere you shouldn’t be, or just don’t want other people knowing that you are smoking, then the smell of it is a telltale giveaway – because, as we’ve noted, weed possesses a very distinctive and unmistakable smell. So, what is there to do for this problem? Blow out the smoke through a sploof when you smoke and boom – no more marijuana smell to inform others of your private activities. Skip the Unpleasant Smell: Some smokers love the smell that comes with smoking marijuana, and find that there are few things more satisfying than the aroma of a freshly-rolled blunt. However, this does not go for everyone, and for those who prefer not to smell their skunk while they smoke it, a sploof can be a very useful tool. 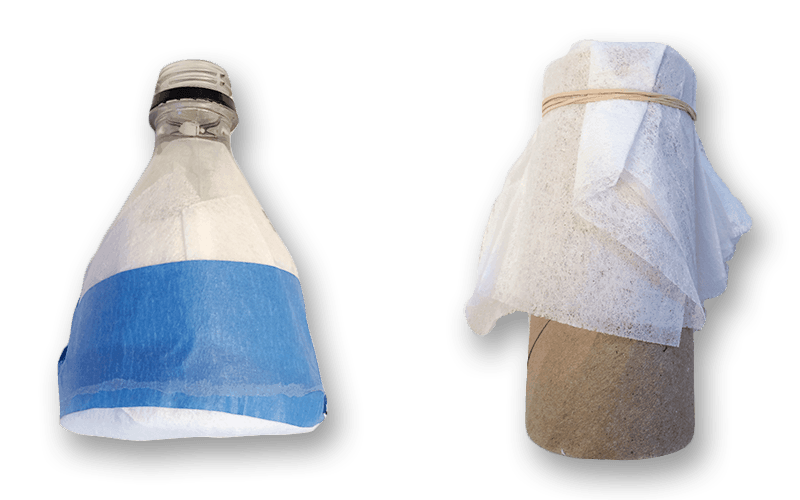 By blowing the smoke through your homemade sploof and neutralizing the scent, you can avoid the unpleasant smell of weed and keep your room smelling cleanand fresh. Don’t Let the Smell Linger: If you don’t mind the smell of weed here and there and don’t have anyone to hide your recreational activities from, believe it or not, you could still benefit from a sploof. The smell of weed often lingers, meaning that if you are smoking in the same place often (for example, your bedroom), then eventually that odor may become absorbed by the carpet and it will be a long while until you get that smell to completely leave the area. Especially if you are constantly reinforcing the smell by smoking marijuana in that space frequently. Of course, the solution is – you guessed it – a sploof. By preventing the odors from occurring in your smoking space in the first place, they won’t be able to settle and take up permanent residence there. The most common filtering material used in a sploof are scented dryer sheets. These are a good option because they are affordable, plentiful, and effective – not to mention that they come in a wide variety of smells, allowing you to choose if you want your room to smell like a field of daisies, or fresh rain. Of course, that’s not the one and only option available to you when it comes to the material to use in your sploof. In fact, professional sploofs often employ the use of activated carbon filters to eliminate lingering smells. This is because these attract and trap odors, preventing them from escaping into your smoking space. Other materials people have been known to use also include kitty litter or baking soda. This is because some people find that dryer sheets aren’t effective enough on their own, and therefore utilize a mixture of these ingredients to find the combination that works best for them and produces the best smell. 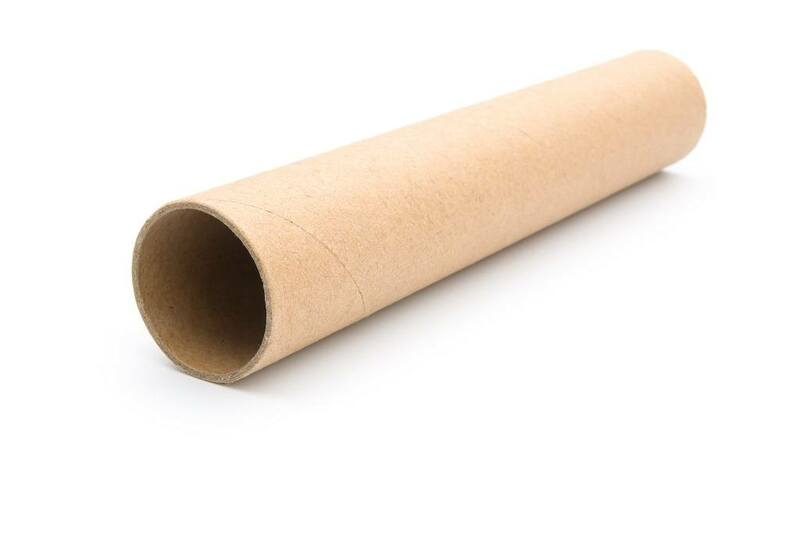 There are several different sploof models around, but the one we’re going to teach you to make here is the classic sploof. 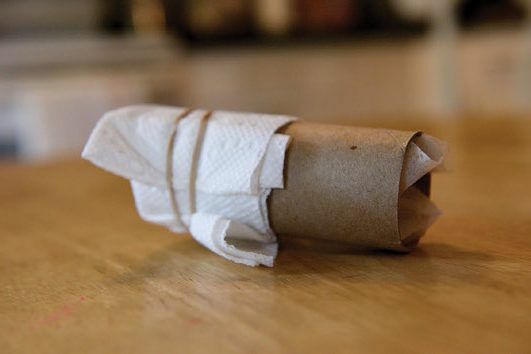 You’ll want to start with a clean toilet paper roll or paper towel roll. Begin by stuffing it full of dryer sheets. It doesn’t have to be very tight (3-4 should be sufficient for a toilet paper roll, and 5-7 for a paper towel roll). If you’re opting for increased efficiency in this sploof, then you’ll want to add your kitty litter, activated carbon, or baking soda at this point too. Adding any or all these things will help to make your sploof more effective and give it more odor neutralizing power. You’ll want to add another dryer sheet to each end of your sploof if you’ve added any of these extra materials to keep them closer to the inside of your sploof. Then, it’s time to secure one end of your sploof with yet another dryer sheet. Do this by wrapping it around the end of either side, and secure it with tape, a rubber band, or string. 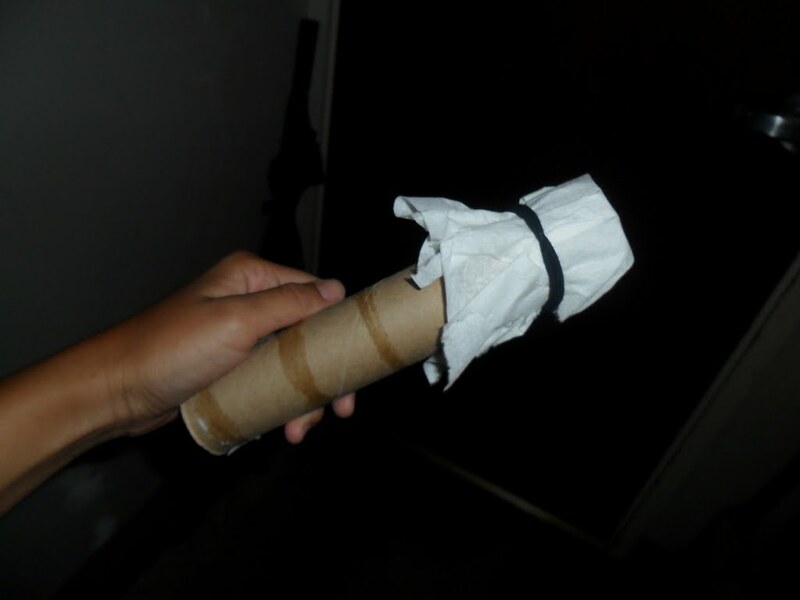 And there you have it – your very own, homemade sploof. All you need to do to use it is blow your smoke out into the open end of the sploof, so it can journey through all that odor neutralizing goodness and out through the dryer sheet you secured at the other end. How Long Will My Sploof Last? No sploof, even professional sploofs, can last forever. At some point, they begin to lose their odor neutralizing power, making it necessary to toss the thing and make a new one. You’ll know when it’s time to replace your homemade sploof when you notice a bit of odor creeping into the air despite your precautions, or when you see the dryer sheets are starting to darken in their hue. The longevity of your sploof weed will depend on how often you smoke, but when you start to see that discoloration occurring, it’s time to toss it and make yourself a new one. As you can see, there are a lot of reasons to use a sploof to disguise the scent of your smoking habits. Of course, not all sploofs are going to be completely effective. This will depend on the quality of materials used, your smoking technique, and how well you constructed your sploof. So long as you make sure to make a soundly constructed sploof and are careful to make sure you blow all of your smoke through your creation when exhaling, then you should that smoking using a sploof is an ideal and effective way to smoke undetected.